They came close. The nice folks at Screen Junkies (see PR photo below, then with us at their party at Comic-Con) were the first people to give our website a shoutout. They took the time to talk with us back on the 31st of May when we were just starting our Twitter feed and building this site. When we spoke with them for an hour, they seemed to know as much about X-MEN:TAS as we did, maybe more. They made us feel welcome, and the hour flew by. It seemed like we could have had fun talking for four hours more. 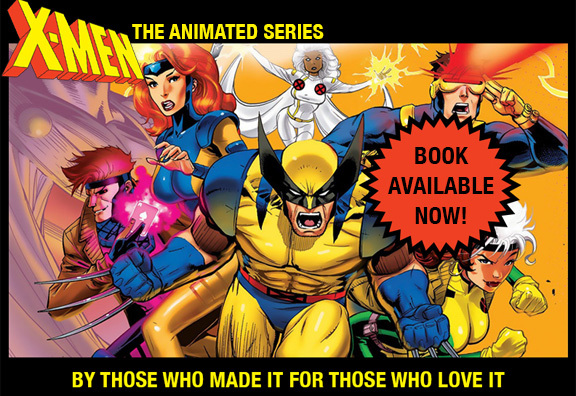 It was clear that they love X-Men: The Animated Series. Well, tonight their outstanding HONEST TRAILERS series was up for an Emmy award. We helped nominate it and voted for it. Sadly, it didn’t win. But people need to understand how hard it is just to get a nomination. It means you had to have produced one of the five best of your kind of program that year in either all of television or, in their case, the entire web. Not too shabby. The fact that they should have won does not diminish their accomplishment. This will surely be their first nomination of many.